He was arrested in Dundalk on Friday. 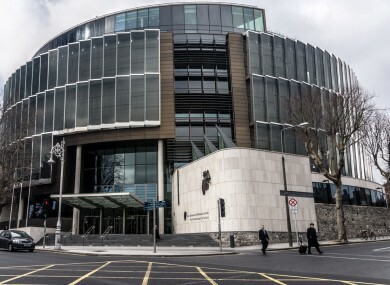 A MAN IS due to appear before court after he arrested as part of a cross-border operation by gardaí and the PSNI. A number of searchers were carried out in the Dundalk and Newry areas on Friday as part of an investigation the activities of dissident republicans in the border region. Detectives arrested the 24-year-old man in the Dundalk area, and he was detained under the Offences Against The State Act. He is due to appear before the Special Criminal Court this afternoon. Email “Man (24) to appear before court following dissident republican crackdown”. Feedback on “Man (24) to appear before court following dissident republican crackdown”.